published in 1959 by Allan Wingate, in London. It represents one of the crowning achievements of the author, Francis J. Mott, a prolific writer whose work was way ahead of its time, but is now poised to receive the recognition it deserves. Today, the ancient idea of the universe as an indivisible whole in which all parts are interconnected is no longer considered ‘fringe’, and his profoundly significant work, long unavailable, is finding an eager and receptive readership. Although Freud initially proposed that mental life began only after birth, he was later to revise this view. Meanwhile, in counterpoint to ‘mainstream psychology’, many brilliant people developed their own understanding of the pre- and perinatal realms: Otto Rank, Nandor Fodor, Stanislav Grof, Paul Verny, Arthur Janov, William Emerson, Bill Swartley, Frank Lake, D.W. Winnicott, R.D. Laing and many others. The work of Mott stands within the tradition of those pioneers in the field of empirical understanding of human experience. His work, although unique in the context of his time, is entirely congruent with leading developments in the current fields of physics, consciousness research and bio-spiritual healing. 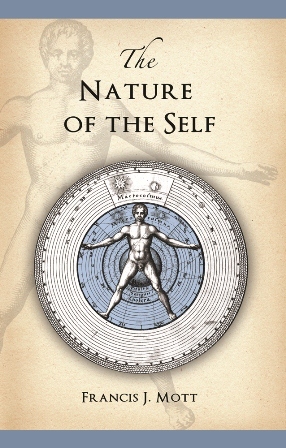 There is currently a rapidly growing body of literature on the pre-natal realms, and 'The Nature of the Self' will re-join this field after being out of print for a long time. Francis J. Mott (1901–1980) was born in England and from early age began his vocation as a seeker after truth; his search led him to study the work of many controversial and innovative thinkers, some of whom he met in person. The list includes Otto Rank, Nandor Fodor, former protégés of Sigmund Freud, and among the first people to write about prenatal experience in a psychological and spiritual context. An early mentor was Annie C. Bill, a disciple of Mary Baker Eddy, founder of Christian Science, who later struck out on her own, forming the ‘Church of Integration’; these experiences provided fertile ground for Mott to study group dynamics. Drawing on extensive case material, particularly dreams, Mott began to unravel the mysteries of the world of pre- and perinatal experience, and to demonstrate how the residue of this plays itself out in our post-natal life, causing symptoms of various kinds – physical, emotional and mental. In ‘Nature of the Self’ he also demonstrates how these intrauterine processes co-reflect archetypal dynamics in the underlying cosmic field in which we are embedded. Of particular interest is Mott’s genius for analysing familiar and time-honoured mythic themes in the light of the pre-natal dynamics they symbolize. Indeed, anyone interested in the development of human consciousness is sure to find Mott’s work to be truly revelatory. Artists, psychoanalysts, mythologist, anthropologists and students of symbolism will discover here a rich and completely new dimension of understanding. This book reveals the intricacies of prenatal experience, and demonstrates how these processes also reflect a pattern clearly visible in many other dimensions of life, macrocosmic and microscopic. Further, Francis J. Mott deftly guides the reader into a fascinating, original and scholarly exploration of the symbolism of well-known mythologies, sacred stories and folk tales, revealing an entirely new dimension of understanding. This tour de force offers powerful evidence for the unity of all creation and consciousness unfolding in a single universal pattern, and thus rests on a legacy of ancient wisdom. as striking as the deciphering of the Rosetta Stone or the translation of the Linear B script. "Mythology of the Prenatal Life"
or from this site. Click here to buy. Primal Integration ever since. So rare has this book remained, that my photocopy is still my only copy - until now. Starwalker Press is to be applauded for making this work and others by Mott more readily available once more". Richard Mowbray, co-director with Juliana Brown of the Primal Integration Programme at the Open Centre, London.